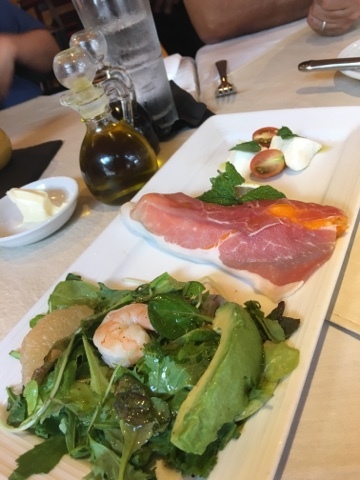 One of our newly discovered favorite "fancy" places to dine with the family is Arancino di Mare in the Waikiki Marriott. We love everything about this place - the service, food, ambiance, and location. 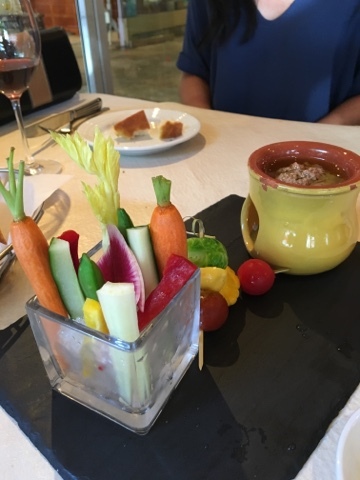 On our most recent visit with my family, we shared a few appetizers family-style, and then each ordered our own entrees. 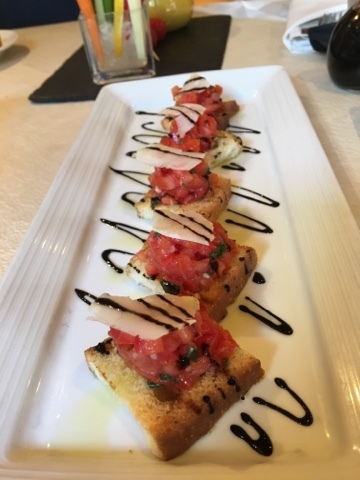 and the bruschetta al pomodoro. We ordered a cheese pizza and penne pasta off of the Kid's menu for the boys. 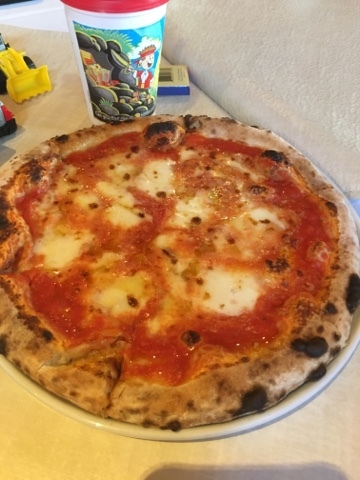 Unfortunately I didn't get to take a picture of the penne pasta, but it was served with their housemade tomato sauce and it was a hit with my sons. They loved the cheese pizza too. Each kid's menu entree comes with a drink - milk for two please! 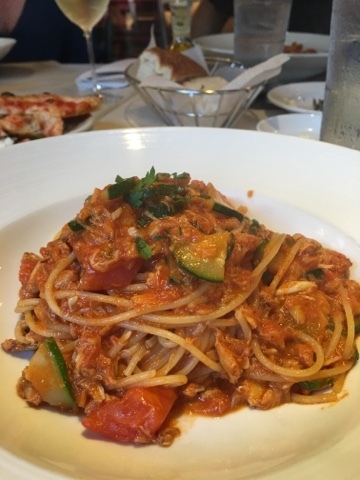 For my entree I ordered the spaghetti granchio e zucchini (blue crab meat & zucchini) but instead of the cream sauce that comes with it, I asked them to make it with their housemade tomato sauce instead. They obliged without hesitation, and it turned out to be absolutely delicious. I will be ordering this dish from now on whenever we dine here! I was not able to photograph anyone else's entrees (which were all excellent and well-liked) or desserts because my son hijacked my phone, but I will be sure to bring a regular camera on my next visit so that I can show you more of the great menu items that Arancinos di Mare has to offer. Parking is available in their self-park lot and the restaurant will validate your parking ticket for 3 hours! This allows you to walk around the hotel or Waikiki for a few hours before or after your meal. If you're a kama'aina, you'll want to get in on their daily kama'aina lunch deal. It includes soup or salad & choice of pasta or pizza for just $12.51 w/valid local ID!